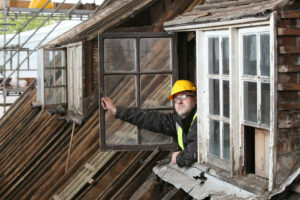 Simon Butler (MSc of Conservation and the Historic Built Environment) has a broad range of conservation experience which has seen him work as a specialist conservation advisor for a range of public and private customers. His breadth of knowledge has seen him consistently deliver excellence and manage works on Grade I Listed, Grade II Listed, Grade II* Listed properties and scheduled ancient monuments. He has also successfully managed multiple Heritage Lottery Funded conservation projects such as the multi award winning Lincoln Castle Revealed Programme and the National Civil War Centre in Newark. Simon brings personal approach and a passion for conservation to your project. We work with supply chain partners with a proven track record end expertise to preserve the past and protect the future. To discuss a specific project please contact us.